Please contact us at ipad@backpacker.com if you have any questions. Since mid September I’ve not been able to download the October 2017 issue. Can’t preview it either. Please let me know how I can download my iPad subscription thanks. I thought it had something to do with ios11, but my other magazine subscriptions are fine. So...there is a bug and I couldn’t find proper app support solving my problem on your webpage. Darn. 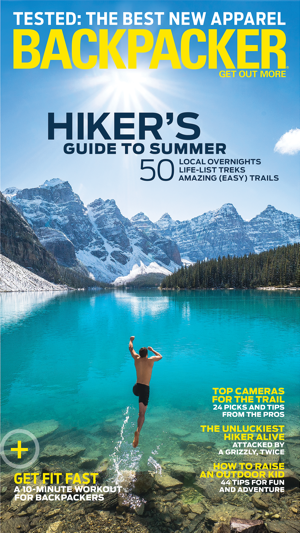 I have been an enthusiastic and faithful subscriber to the digital version of Backpacker magazine for 4 or 5 years. I've just renewed my subscription for another year -- and desperately wish I hadn't. Ever since last week's resubscription (for my April 2016 and future issues), the changes for the worse are evident. Everything I liked about the digital version, and what makes a good digital edition so wonderful, in the past is gone, even in those past issues already in my library. Everything that is unpleasant in poorly-implemented digital publishing has been implemented in the new version. Disappointing: the loss of vertical scrolling, embedded links and video, interactive content, easy navigation, placeholder "memory" -- all gone. The index is difficult to use and navigate, even when it works (see below) The "new" versions are nothing more than static replications of the printed issues -- exactly what I'd have if I took scans of the individual pages of the print issues. Poor value: content previously contained within digital issues has disappeared. Entire issues previously in my library have disappeared from the "store" and are no longer available for "restore purchases". Deal breaker: the Zinio app is ridiculously unstable. It crashes almost with every single page turn/swipe, requires constant reloading of the app and re-navigation to the page I was trying to read before the crash. You folks at Backpacker magazine have done your subscribers, and I dare say yourselves, a disservice with this change in platform. You have fallen from being one of the best implementations of digital publishing I've seen (quite aside from your content); I used to rank you right up there with the digital National Geographic. Thank you for your previous support and kind words about the old digital version. Unfortunately for the moment, Zinio does not support some of the interactive features that were present in earlier editions. If you are still experiencing problems or need additional assistance, please contact us at iPad@backpacker.com.